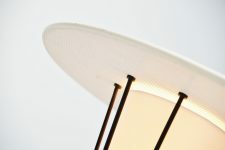 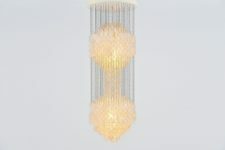 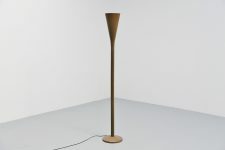 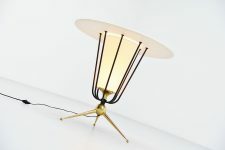 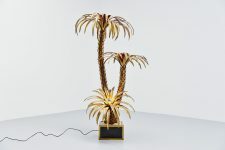 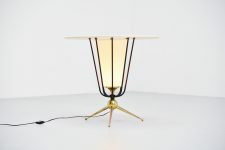 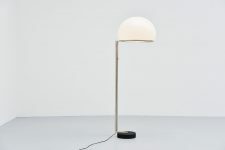 Fantastic large floor lamp possible designed by Pierre Guariche or Jacques Biny for Disderot, France 1950. 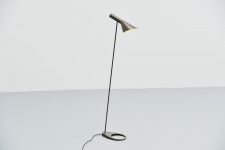 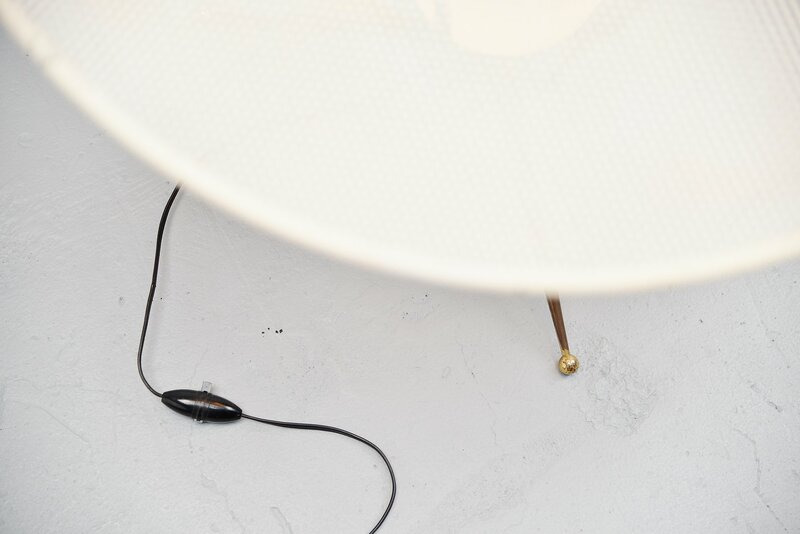 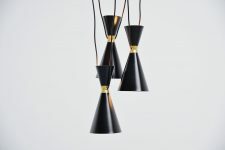 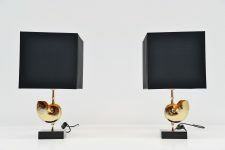 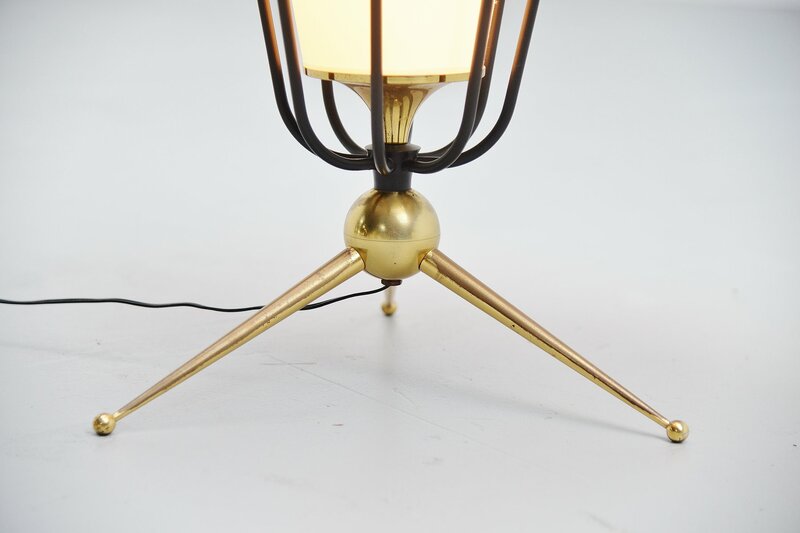 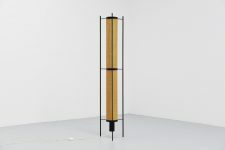 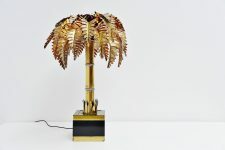 This oversized floor lamp has a brass tripod base and black lacquered spines. 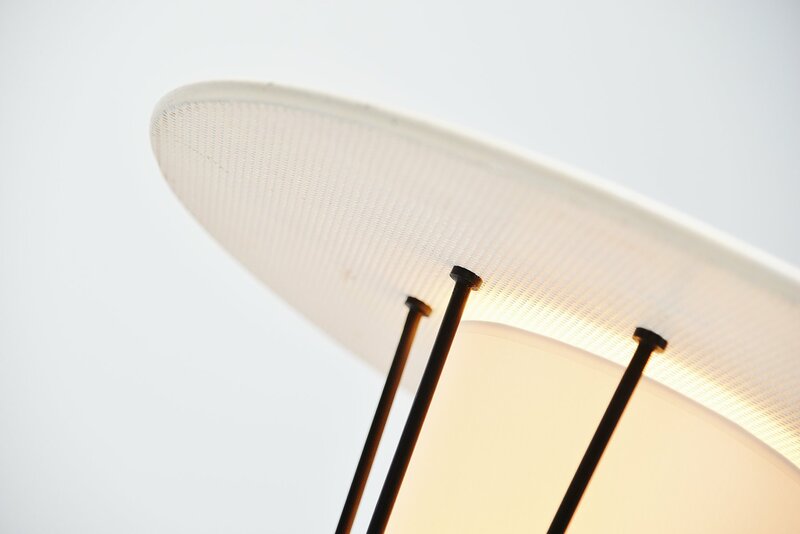 The die cut top is white lacquered and the shade is made of white fabric, the shade was newly upholstered. 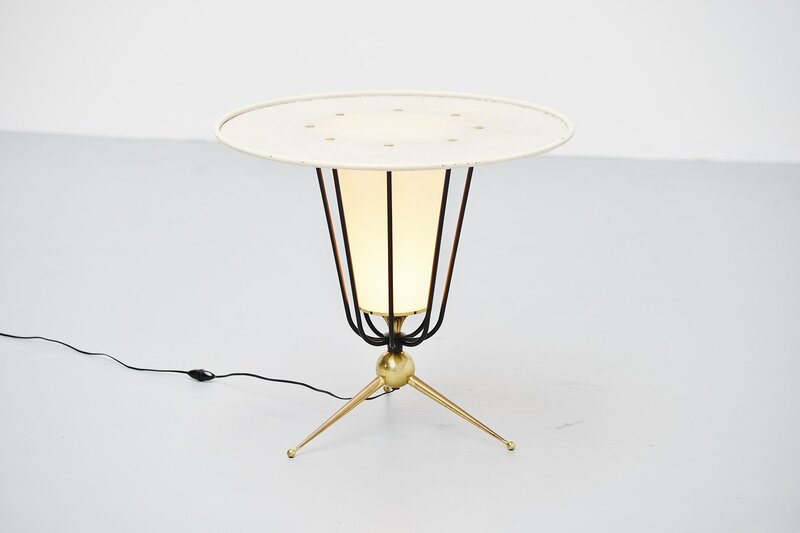 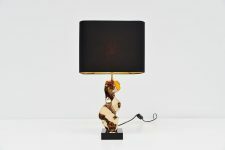 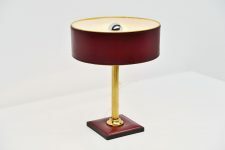 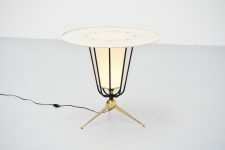 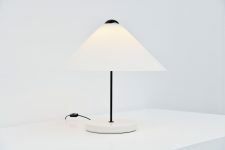 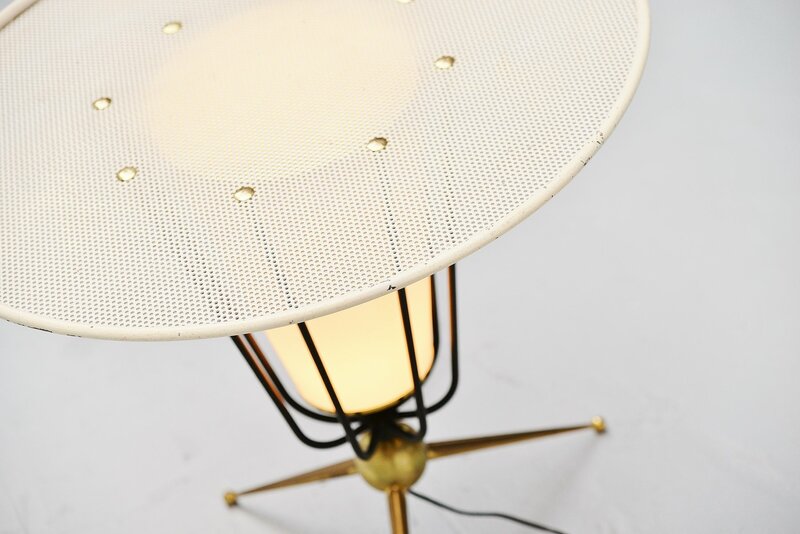 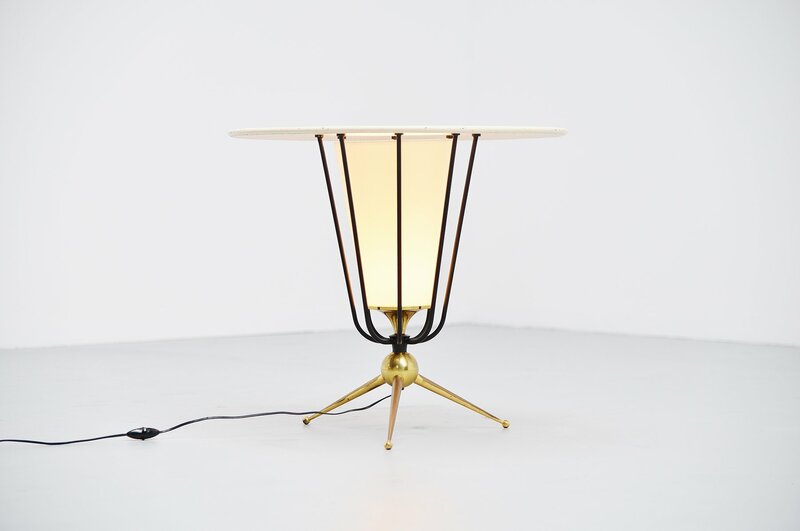 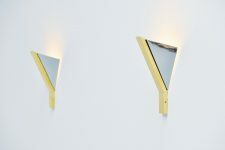 This lamp could be used as side table as well because of its large flat top. 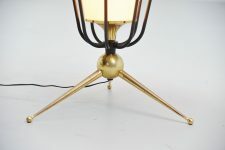 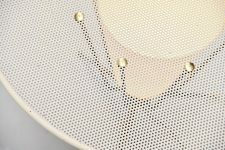 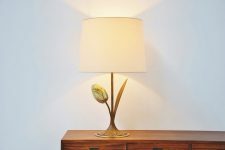 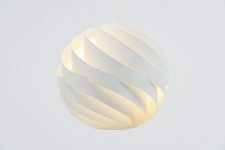 The lamp is in excellent original condition and gives very nice spherical light when lit. 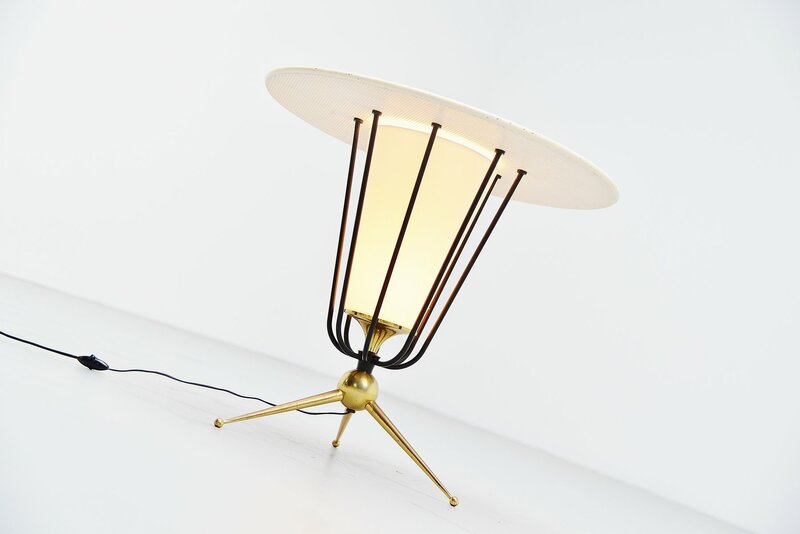 Very special French design.